With great power comes responsibility, as the old comic book legend goes. You might not be a hidden superhero trying to fight crime and still maintain a sense of normalcy, but now you can clean up your music library on the go without missing out on the songs that you actually want to hear. It’s a problem that music buffs have complained about for a while: just how do you clean out songs that you don’t want to hear anymore, without it taking hours and hours away from the things you want to do? Listening to music is supposed to be pleasurable, but when you can’t hear your jams on party shuffle, things get frustrating fast. Enter Skiplayer, the iPhone app that lets you skip over those pesky songs forever — without taking away from your music experience. You can use this app in the car as well, and it’s far safer than trying to smash a bunch of tiny buttons. We’ve already dealt with that with the first generation of car audio systems, and it’s an era that just needs to go away already. 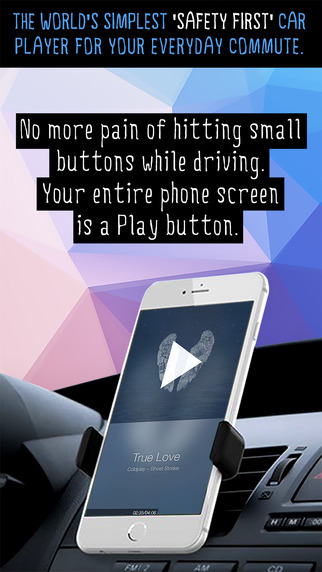 The entire phone screen becomes a play button. If you want to skip a song, you just have to double press the FWD button in the car. Tired of trying to make the perfect playlist? Skiplayer understands. Everything is just shuffled from the music library, and you can skip over the songs you don’t like. Swipe gestures make sifting through a big library a breeze, and it helps you get back to the music you really want to hear. What we like about Skiplayer is that it’s an app that’s as pretty as it is functional. Careful planning has been taken to the app’s usability: you get a full screen’s worth of great looking artwork, along with cool blurred backgrounds. The music also keeps playing in the background as you flip through songs and otherwise navigate through the system. This feature makes it perfect for students trying to study. They can fill their headphones with the songs they want to hear, skip over the ones they don’t, and have time to focus a bit more on the actual study sesh. You can always add songs to a favorite list, saving it from being skipped over forever. Of course, if you want to rescue a song from the forever alone bucket, you can do that too. The app supports iPhone 5, 6, and 6+, as well as all iPods. The full-screen controls make this app a joy to use, and we highly recommend real music buffs to check it out from the iTunes store as soon as possible. You can also visit the info page here.